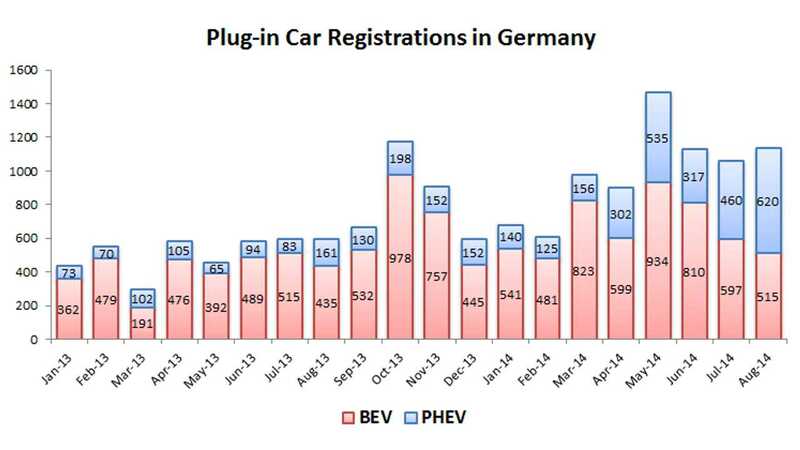 Germany's plug-in market grew in August by 90% year-over-year from 596 to 1,135 reaching a record 0.5% market share. Battery-electric car registrations increased by 18% from 435 to 515, while plug-in hybrids surged by 285% from a low of 161 last year to 620! In the first eight months, the total number of registrations amounted to 7,955, while last year it was 4,092. 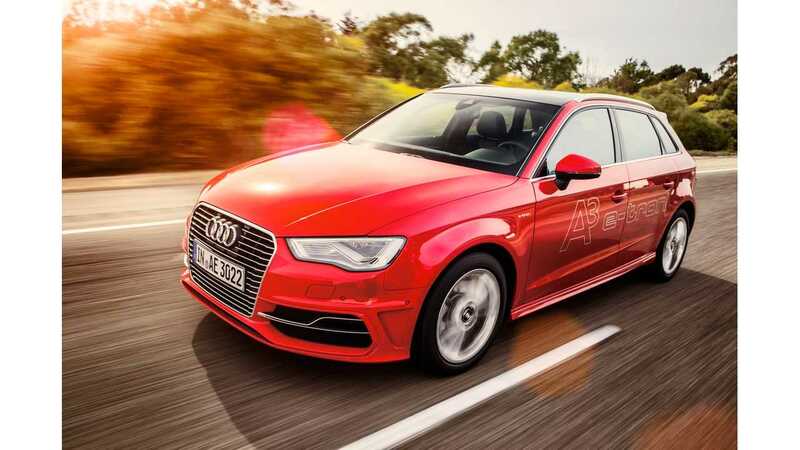 In August, Audi recorded 227 registrations of plug-in hybrids, which must be the A3 e-tron for dealers. 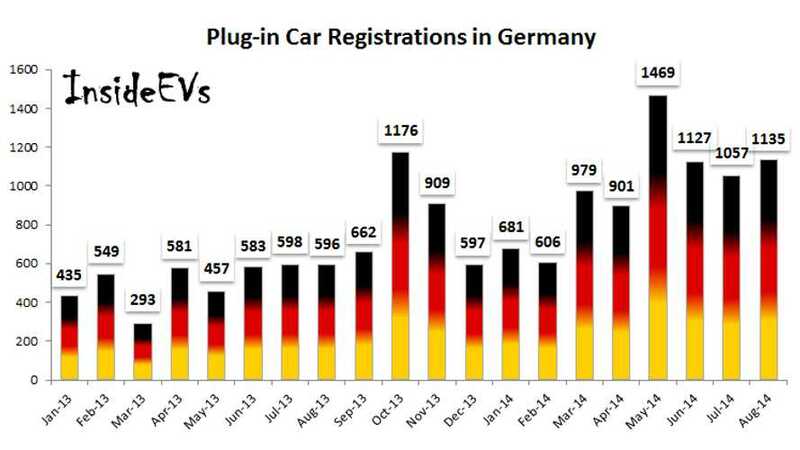 BMW i3 is second with 151 registrations, however it seems that only 82 were all-electric. 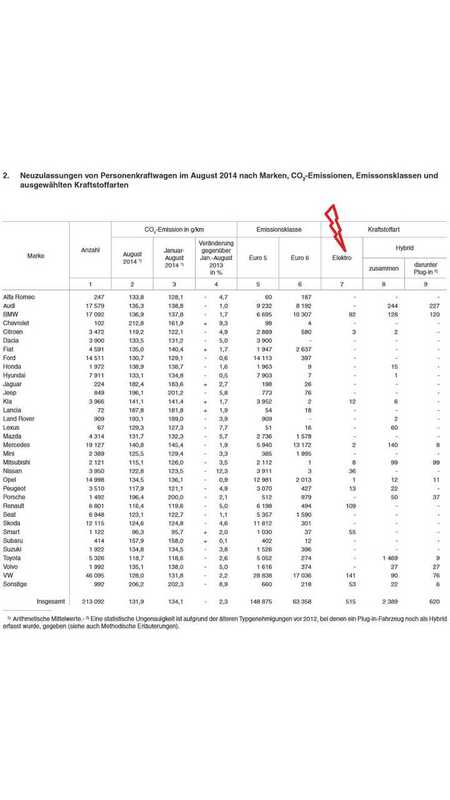 Volkswagen had 141 registrations of e-up! and e-Golf, while Renault logged 108 Renault ZOE registration. We don't know exactly which vehicle is the leader for sales in the all-electric category in August (our bet is on ZOE). Noteworthy is that Volkswagen had 76 registrations for plug-in hybrids (Golf GTE). Mitsubishi Outlander PHEV remained solid with 99, while BMW i8 is relatively high with 51 - ahead of 37 for Porsche Panamera S E-Hybrid. This time smart fortwo ed had 55, while Tesla Model S had 48 and Nissan LEAF 31.